The project is co-ordinated by Professor Jennifer Wen, Head of Warwick FIRE. In order to use the Liquefied Natural Gas (LNG) storage tanks in their fullest extent, they are often filled with LNG from different sources with different compositions and densities. Even heavily insulated, the LNG which is stored at around 120 K could be heated up due to heat losses through the walls. This could induce a sudden mixing of the layers of different density LNG and result in a rapid release of boil-off gases. In such situation, the pressure inside the tank could rise drastically and result in the dangerous rollover accidents. A multi-phase thermo-physical model will be developed within the OpenFOAM toolbox for rollover prediction. Parallel experimental work is also being conducted at University of Warwick to provide experimental data for model validation. The research will focus on the effect of non-uniform gas concentrations on explosion development in clouds of NG/LNG in air giving particular relevance to under-tank gas accumulation and explosions. For flame acceleration around obstacles, the correct description of the wrinkling evolution is crucial, giving an advantage to the balance equation formulation. Within the OpenFOAM code, there is already a two equation turbulent deflagration model which solves the wrinkling factor equation and regress variable transport equation. The major drawback of this model within the LES context is the lack of sub-grid contribution. A new model for turbulent deflagration will be developed or modified from existing models and validated with published data. Comparison will also be carried out between the predictions of the two different approaches. Immediate ignition of pressurised LNG release can result in a LNG jet fire. If the pressure is relatively low and the source diameter is large, the jets will normally rain out burning liquid, but higher pressure and smaller jets are likely to consume all the liquid with no significant rainout. A jet fire may cause severe damage and be confined to a localised area. The project aims to develop a computational model based on OpenFOAM to simulate both unignited LNG jet release and jet fires. Evaporating liquid cascades resulting from gasoline and liquefied natural gas (LNG) tanks overfilling or rupture of elevated pipes create a source of flammable vapour cloud. Such phenomena were responsible for the formation of the large fuel vapour cloud, the ignition of which resulted in the large scale explosion, in Buncefield on 11 December 2005 at the Hertfordshire Oil Storage Terminal, an oil storage facility located by Hemel Hempstead in Hertfordshire, England. Despite its significance, there lacks adequate models treating the underlying physics of this phenomenon. 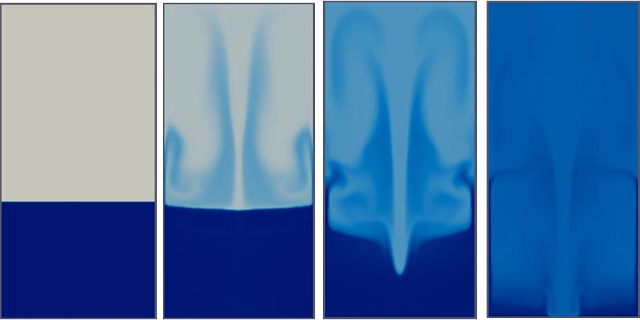 Theoretical studies will be conducted using numerical simulations to investigate the development of instabilities leading to the droplet formation and their break-up. Particular emphasis will be given to the effect of impingement to account for the effect of deflector plate and wind girder. These sub-models will be coupled with the OpenFOAM toolbox. Within the cascade, the process of droplet breakup and coalescent will be modelled. The model will be validated using proprietary data from HSL and applied in parametric studies. Previous studies on LNG fires have primarily been based on experimental tests and semi-empirical models [32-34]. While CFD techniques are now routinely used for the simulations of many other fire scenarios, limited attempt has been reported on large-scale LNG pool fires [35-36]. The major barrier is the relatively large size of the domain, the lack of robust soot models and complex radiation characteristics of LNG fires. The inter-connection of soot and radiation in such large fires also demands close coupling of the two in a rigorous modelling approach. The project will build on the previous work within the group on LNG pool fires simulations , the development of combustion and soot models for fire simulations [2-3] and the recent implementation of various versions of the weighted sum of gray gas models for radiation in FireFOAM. It will develop an approach to fully couple the gaseous combustion with the liquid phase evaporation to compute the entire process of liquid fuel pool fire including buoyancy driven flow with combustion, soot formation and oxidation, radiative heat transfer, evaporation of liquid fuel and prediction of fuel burning rate. This project will develop a coupled approach for pool spread and evaporation as well as the subsequent LNG vapour dispersion. A basic model will be built allowing for the description of pool height and velocity as a function of time and location, addressing the relevant physical phenomena in both instantaneous and continuous (at a constant or transient rate) type releases onto either solid or liquid ground. For the subsequent dispersion study, consideration will be given to the thermodynamic effects on dispersion, including surface heat transfer and water vapour transfer and condensation. 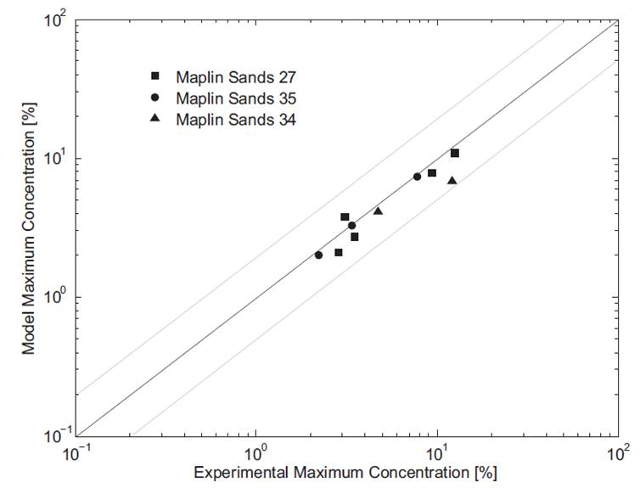 Data from numerous large scale dispersion tests will be used for model validation. 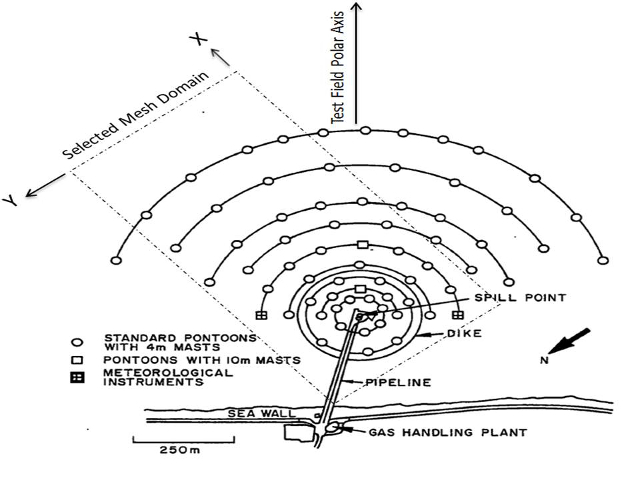 Special consideration will be given to include the effect of surface roughness and site obstacles, vegetation near the site, the formation of a vapour ‘blanket’ over a spreading pool, heat transfer effect and the transition to passive behaviour as well as the effect of the large LNG ship itself on the dispersion of LNG pool on the sea, the heat transfer from the sea to the vapour cloud, and the atmospheric stability that is appropriate in coastal and inland waters.